About 150 years before the birth of Jesus the Messiah, some of God’s people — the Essenes — established a community in the Judea Wilderness near the northern end of the Dead Sea. 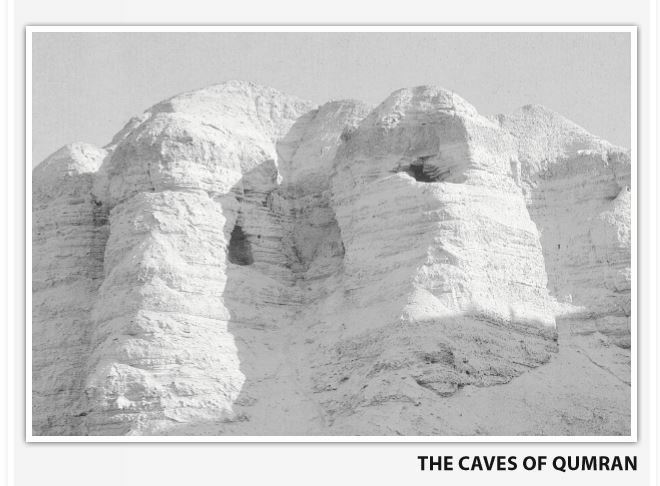 We know it as Qumran, where the Dead Sea Scrolls were found. 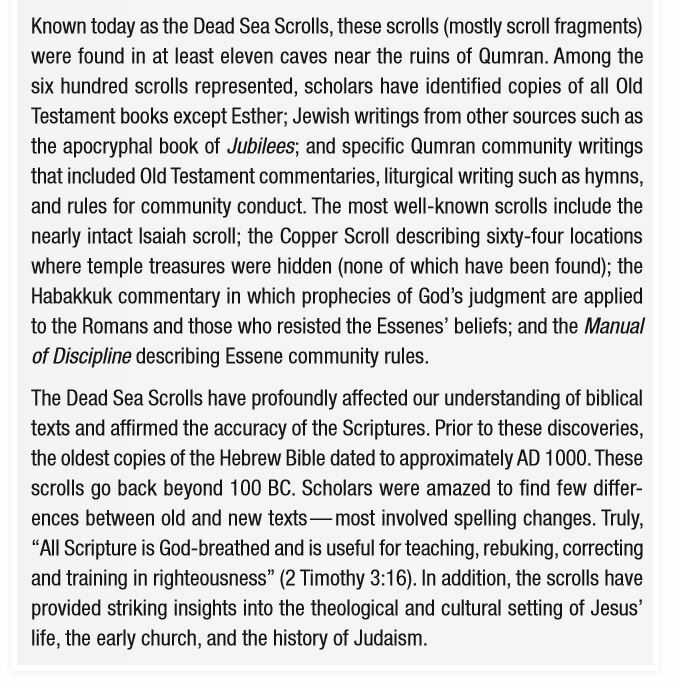 Not all scholars agree that Essenes lived at Qumran, wrote the Dead Sea Scrolls, or were the people the scrolls portray, so study and debate about the nature of the community continue. 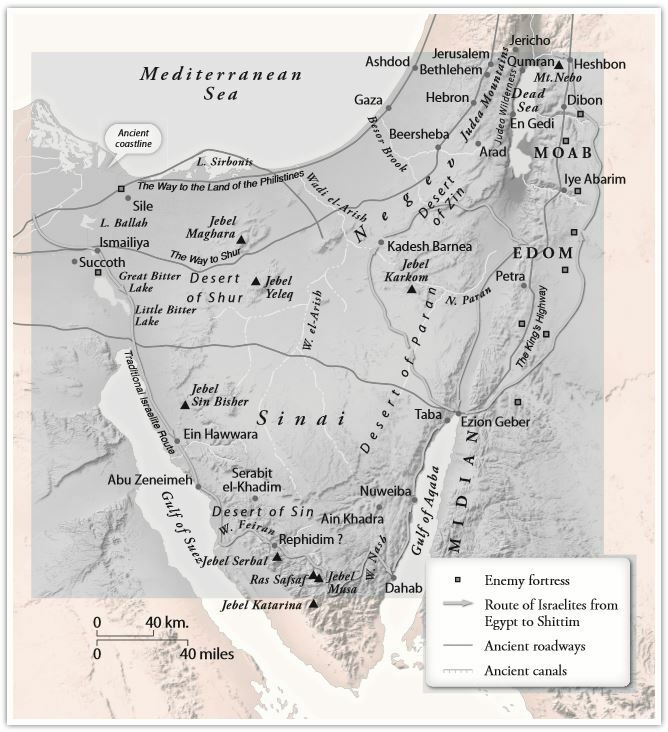 However, given the lack of other significant theories about Qumran, the scrolls, and the Essenes, we will take the position of mainstream Bible scholars that the Qumran ruins are those of the Dead Sea Scroll community that was part of a religious movement that included the Essenes. In any case, our primary focus is not on the relationship between the people who lived in this community and the Dead Sea Scrolls. We will focus on why this group of God’s people went into the desert to live as they did. We want to know the role they played in God’s great story of redemption. 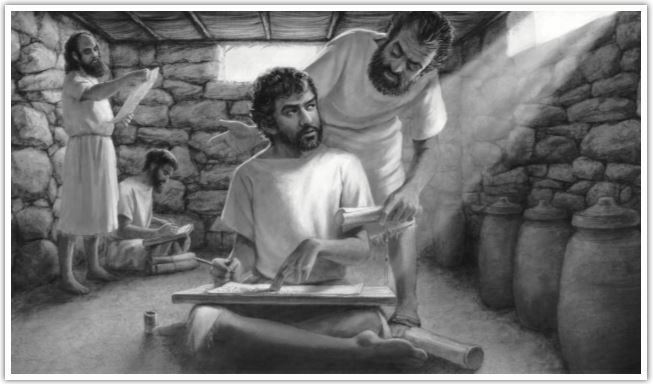 The Essenes were passionately committed to learning and obeying every word that came from the mouth of God. They knew that God wanted to dwell among them and believed with all their heart, soul, and strength that if they prepared the way He would come. So they eagerly anticipated the coming of the Messiah and went into the des­ert to “prepare the way” for Him. The Essenes spent long hours in the brutal desert heart writing on parchment. Their writings included books from the Hebrew Bible, commentaries on these books, and the regulations of the Essene community. 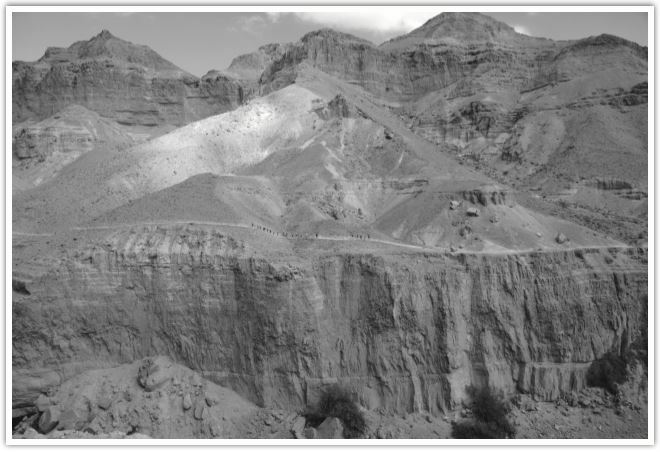 But anyone who has hiked the rugged mountains of the Judea Wil­derness will likely ask, “Why did the way for God have to be pre­ pared in the desert, especially this one?” Throughout history this wilderness has remained virtually uninhabited. Its rough, steep ter­rain and lack of water make it unsuitable for good travel routes. Its summer heat frequently exceeds 120 degrees Fahrenheit, hot winds often dry out any remaining moisture, and chilling temperatures set in soon after sunset. Wouldn’t it have been easier for God’s way to be prepared in the fer­tile countryside near the Sea of Galilee or the well­-watered hillsides near Jerusalem? 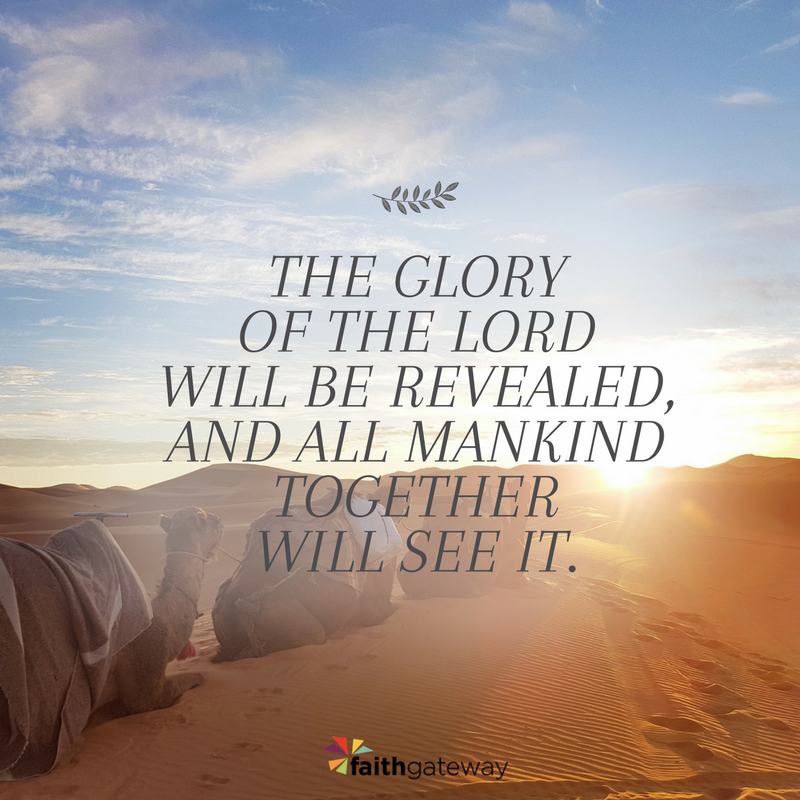 Why did God choose the desert as the place for His people to prepare for His glory to be revealed? Why did He choose a place where simply surviving is so hard? Again, part of the answer can be found in the Hebrew Bible. In the exodus story, God worked through His prophet Moses to miracu­lously bring the Hebrews out of slavery in Egypt, deliver them from Pharaoh’s army at the Red Sea, and lead them into the “vast and dreadful desert” (Deuteronomy 8:15) where He met with them and lived among them for forty years. In the desert, they learned to depend on God and live by His every word. Isolated from the influ­ence of Egyptian and Canaanite cultures, the Israelites became a unified people whom God molded and shaped to be a kingdom of priests who would display His character to the world. In a sense, the desert is the perfect place for God’s people (including us today) to learn to be His people. In the desert, the diversions of a comfortable lifestyle fade into silence, and God’s powerful whisper can be heard. In the desert, we can survive — and even thrive — but only by God’s faithful provision. In the desert, we learn that it is better to be in the arms of God during tough circum­stances than to rest in paradise and forget about Him. In the desert, the influence of gods of our own making lose their power, and we are drawn into intimate relationship with the one true God. The Essenes left upper-class lifestyles for huts in the harsh wilderness of Judea, a measure of their extreme devotion to the Bible. The Essene members were male, however there is evidence that they lived in the desert with their families as they prepared the Lord’s way of obedience. So we should not be surprised to find the Essenes in the desert. There, for weeks, months, years — and sometimes a lifetime — they exchanged lives of relative comfort for desert hardships in order to live out their passionate commitment to obey every word that came from the mouth of God. There, they created a community isolated from the self-­focused, pleasure-­seeking Hellenistic society and what had become a corrupt priesthood in Jerusalem. In the desert they dedicated themselves to preparing the way for God. And out of that same barren desert, the Bible character we know as John the Baptist took up the cry. With the fiery passion of Elijah, he called on sinners to repent and prepare the way for the Lord. And just as the prophets had said, God came as Jesus the Messiah to con­tinue the next chapter in God’s great redemptive story. Take a few moments to think about your image of what it means to love God and live for Him, then describe what you think a life of pas­sionate obedience and faithful devotion to God looks like. What sacrifices might be required in order to obey God and love Him with all our heart, soul, and strength? At times God chose to use harsh desert areas near the Prom­ised Land as a training ground to mold and shape His people for their role in the next chapter of his unfolding story. 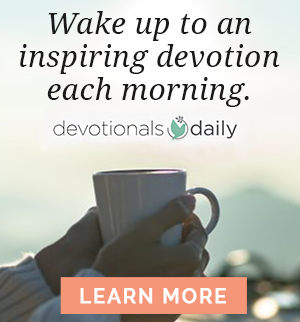 Like a shepherd, He led the ancient Israelites through the deserts of the Sinai Peninsula to teach them to depend on Him and live by His every word. Moses and Elijah spent time with God in the Sinai deserts. Elijah, David, John the Baptist, and Jesus spent time with God in the Judea Wilderness. The Essenes went into that same wilderness to prepare the way of the Lord — to know His words and obediently “walk” His path. On the map, locate the Dead Sea, Jerusalem, Hebron, Bethlehem, En Gedi, Qumran, and Jericho. Next locate specific desert areas in the region: Judea Wilderness (Judah Wilderness in Old Testament times), Desert of Zin, Negev, Desert of Paran, Desert of Sin, Desert of Shur. How far was the Judea Wilderness from Jerusalem? From Bethle­hem? In what ways does the Essenes’ level of dedication, commit­ment, and faithfulness in seeking to obey every word of God make an impact on you? How does the extent of their personal sacrifice help you to comprehend how much they valued the opportunity to par­ticipate in preparing the way for the coming of the Lord? In what way(s) do you think the desert wilderness setting helped to fulfill the deep spiritual commitments that defined the Essene community? 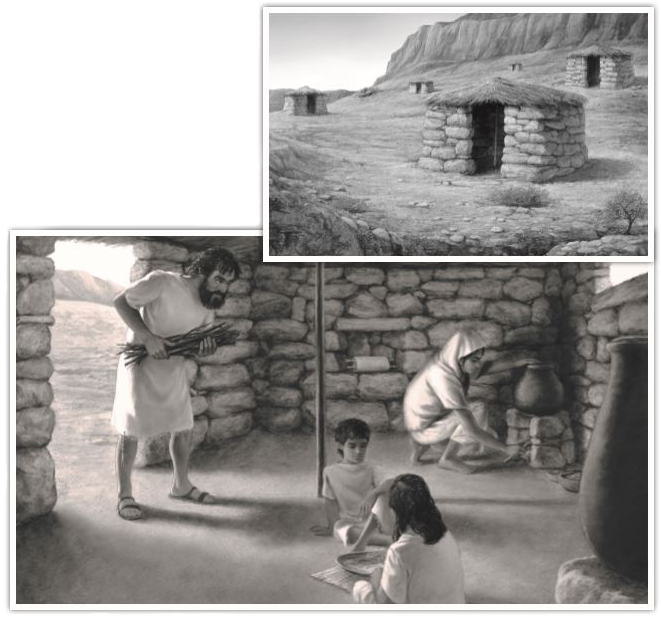 Do you think the Essenes could have accomplished their objectives in a more hospitable environment? Why or why not? God brought the ancient Hebrews into the desert to teach them how to obey His words and, by their obedience to His words, to walk in His ways. His words were so important that He instructed Moses to write down all of them in the Torah (Deuteronomy 31:9-13). God also instructed His people to return to the desert — either literally or by recalling the Hebrews’ time there — in order to remember (obey) His every word and to prepare the way (or path) for His coming. The Essenes acted on these words. They dedicated themselves to walking the path of obedience. With great passion for obeying God, they willingly endured the desert hardships in order to learn to live by His every word. They had an intense desire to prepare the way for their God in the desert, and their faithful obedience greatly impacted their world. It helped to prepare people to more easily understand and apply the teachings of Jesus and influenced the theological climate of the Jews for about two hundred years. Let’s consider what it means to walk the path of obedience and “prepare the way” for God. A desert path near Oumran in the Judea Wilderness provides an image of the desire and commitment required to walk the path of obedience and “prepare the way” for God. For the Israelites, walking was the primary means of transportation. Sometimes walking was hard and sometimes it was easy. A person could choose one path or another. So the Israelites readily understood what it meant to “walk in the way.” Just as we choose a path when we “walk” from one place to another, we choose a lifestyle “path” as we journey through life. The Bible describes an obedient and righteous lifestyle as “God’s path” or the “way of the Lord” (Genesis 18:19) and a rebellious and sinful lifestyle as our “own way” (Isaiah 53:6) or “the way of the wicked” (Psalm 1:6). 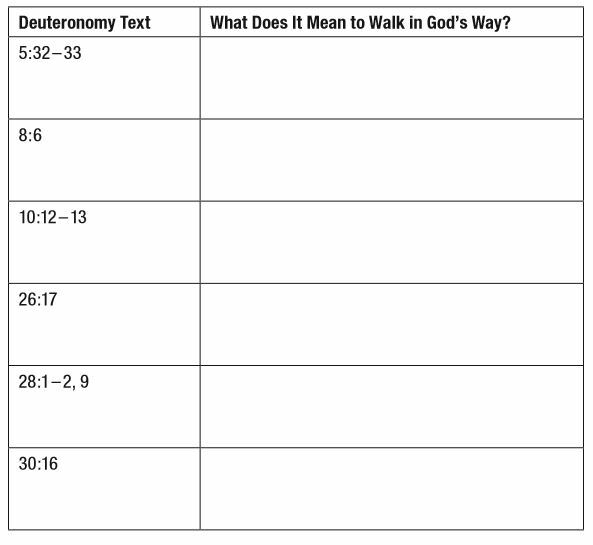 In addition to meaning “path,” derekh can refer to a major road or a path that is worn by constant walking. The word is also translated “obedience” and “commands.” So when God told his people to walk in His “ways” as He had taught them, He wanted them to learn to walk His right path or road by obeying His commands. To walk in the way of the Lord is to obey His words. God, too, has a derekh (Isaiah 40:3). If we desire to walk with God, he wants us to prepare his way — his path — by walking obediently in it. The Essenes went into the desert to prepare the derekh, or way, of the Lord. They prepared the way by walking in His path, which they accomplished by obeying His every word. When Moses recorded how God wanted His people to live, He repeatedly told them to walk in the way God had taught them. As you read the following portions of the text, take note of how God’s people are to walk in His ways. Then dis­cuss specific examples of what it might look like for God’s people today to follow these instructions. What motivated the Essenes to live as they did in the desert? Part of the answer is found in Isaiah 40:3-8, which should be especially meaningful in light of what you have learned about walking in the way of the Lord. What did Isaiah call God’s people to do? Where are God’s people to do it? How would you expect God’s people to accomplish their task, and what is central to walking in God’s path? 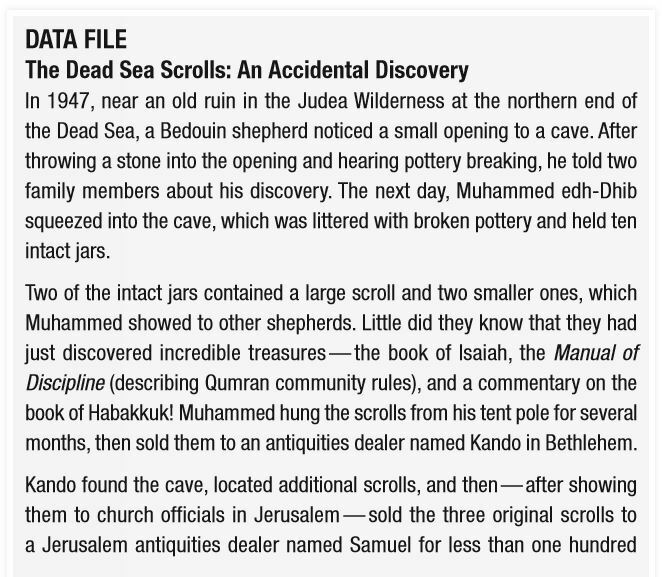 In light of this, why do you think that the Essenes wrote and/or collected the Dead Sea Scrolls, many of which are copies of books of the Hebrew Bible or studies of these books? God led the ancient Hebrews into the desert so that they would learn to walk the right paths — His paths — by faithful obedience to His “words.” His inspired words have remained central to the shap­ing and molding of His people. His words were essential to the walk of the Essenes, they were essential to the walk of Jesus, and they are essential to those of us who seek to follow Him today. God’s words are so important that when Jesus faced Satan’s temptations in the desert, He repeatedly said, “It is written” (Matthew 4:4, Matthew 4:7, Matthew 4:10) and then quoted the very words God gave to the ancient Hebrews in the desert! What does Jesus’ response to Satan’s temptations reveal to you about the foundational importance of the lessons of the exodus? Try to imagine how highly Jesus valued God’s words and how deeply committed He was to walk faithfully on God’s path. 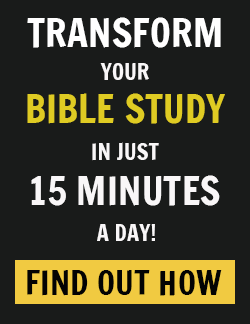 What kind of attitude and energy do you imagine Jesus brought to his study of God’s words? What do you think was foremost in His mind and heart as He studied God’s words and set out to obey them? Describe what living out a commitment to obeying every word from the mouth of God might have looked like in Jesus’ daily life and what it might look like for you. Consider what you have learned about the fire in the soul of the Essenes that drove them into the desert to make what­ ever sacrifices necessary to walk with God and obey His word. In what ways might their example inspire you to make similar sacrifices? What would those sacrifices be? In what ways would you expect your life to be different if you, following the example of the Essenes and Jesus, devoted yourself to obeying God’s Word and walking in His way? To what extent are you sold out enough to God and to His Word to make the sacrifices required to walk the path of obedience and prepare the way of the Lord? The Lord will establish you as His holy people, as He promised you on oath, if you keep the commands of the Lord your God and walk in His ways. Then all the peoples on earth will see that you are called by the name of the Lord. Then pray together, testifying to God and to one another of your desire to walk in God’s ways. Ask God for the strength to fulfill your commitment to learn and obey His every word. Ask Him to bless your walk so that other people will come to know Him. Come share your thoughts with us on our blog. We want to hear from you!